We promote healthier lifestyles for underprivileged children through the gifts of bicycles and helmets. We provide children the opportunity to experience all the benefits of cycling including exercise, transportation, and enjoyment of the outdoors! 28 distributions and over 1,400 bicycles to date! WE NEED YOU!!! Our work is all Voluntary, WCC Supports our efforts by funding Helmets, Needed Bike Parts and Tools and providing refreshments to workers. Please consider volunteering one night per month to help us get these bikes refurbished and out to kids who need them. The work is rewarding, both in the comeraderie of the volunteers, and the joy on the children's faces as they get a new bike! Just Sign Up on the rides board for one of our worknights and come to the work location around 6pm. If you know nothing about repairing bikes, you will learn on the job, the knowledge could save you a long walk or taxi ride one day. 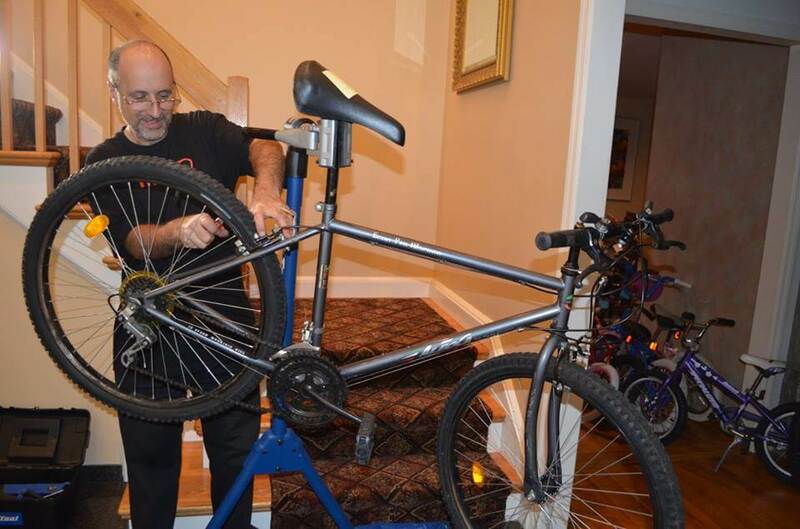 Bike NightsJoin us Tuesday evenings to repair gently used bicycles. We meet every week from 6 to 9PM at Adriane DeFeo’s home at 169 Theodore Fremd Avenue, Rye, NY. All are welcome to participate weekly or once a month. Pizza and refreshments are provided. YOU can help! We would love to have 4 volunteers EVERY week. NO previous training required. Please sign up on the Rides Board. 1) Put a smile on a child's face. 2) Sharpen your mechanic skills. 3) Enjoy the camaraderie of fellow WCC members. 4) Get club credit for volunteer activities. 5) Did I mention pizza?? Have kids who need community service?? Bring them along! 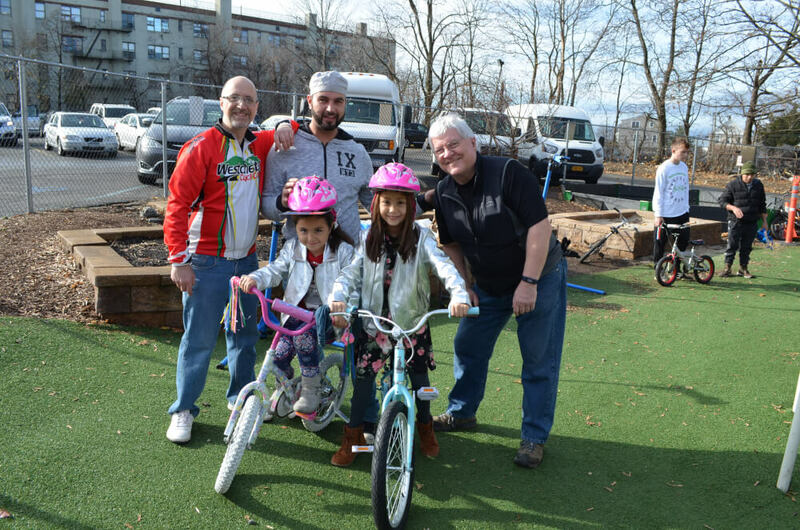 To donate gently used bikes, contact Bill O'Connell at WCCBikes4Kids@gmail.com or Adriane DeFeo at linkinghandlebars@gmail.com. 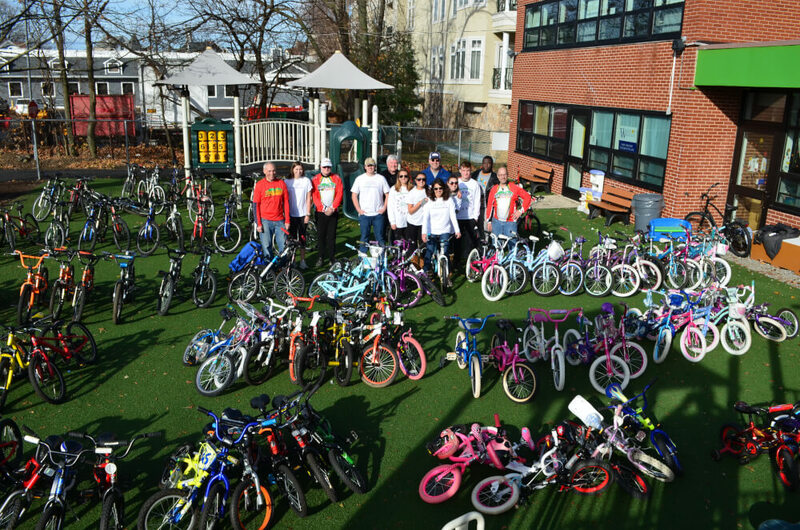 Bikes4Kids worked with Linking Handlebars to distribute 115 bicycles to children at the Carver Center in Port Chester, NY on November 25, 2018. 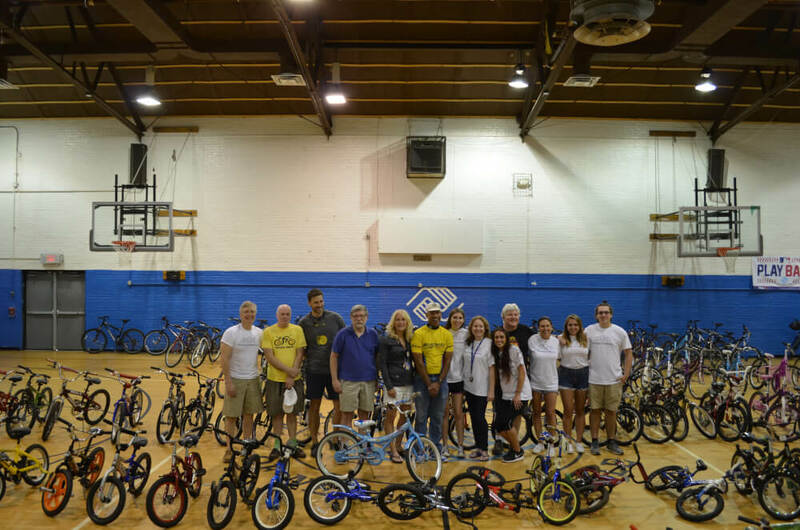 In July, Bikes4Kids gifted 120 bicycles to children at the Boys and Girls Club in New Rochelle, NY. Volunteers learn how to perform simple repairs after just a few work nights! 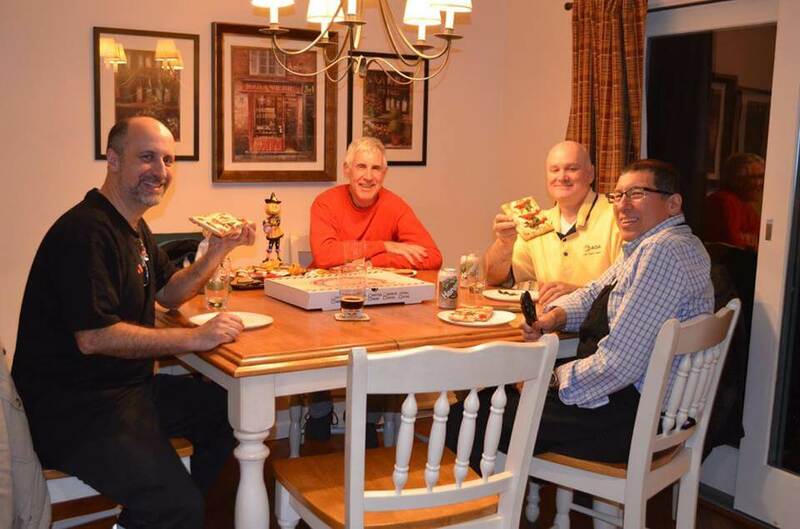 Enjoy some yummy grandpa’s pizza after a hard night of work. Email us or visit our website and like us on Facebook!